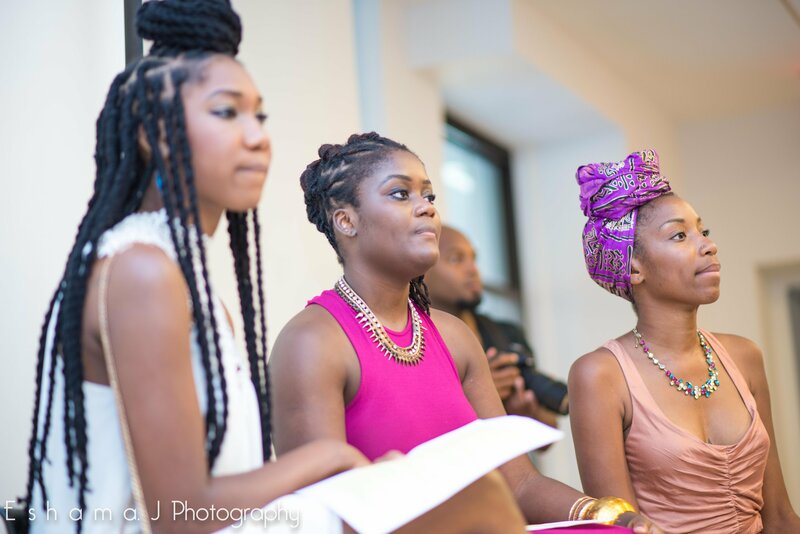 On Saturday, August 1st, I hosted an amazing event created by three queens. When I was first asked to be apart of this event, I felt honored and slightly nervous. Honored because this event is necessary for our community. 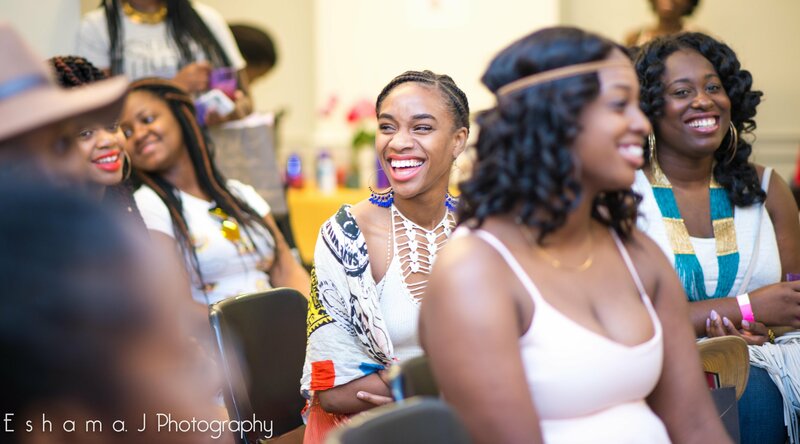 This event wasn’t for entertainment purposes, it was to bring together women of all ages and all walks of life who are like minded and similar in more ways than one. I also felt nervous because standing in a room full of educated, strong minded, fearless, opinionated women is not an easy task to do. But I am so glad I did it and I am so glad their guests received me well! 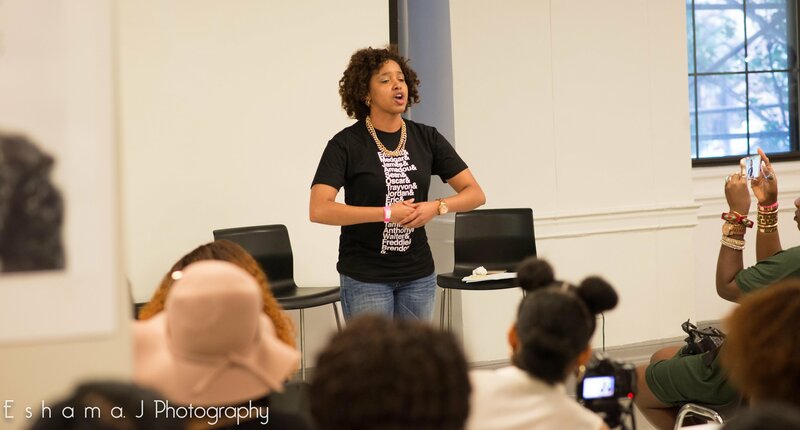 Our very own writer D.Wil is one third of The Queen Collective who held this Women’s Empowerment Event this past weekend, Downtown Brooklyn at the YWCA. 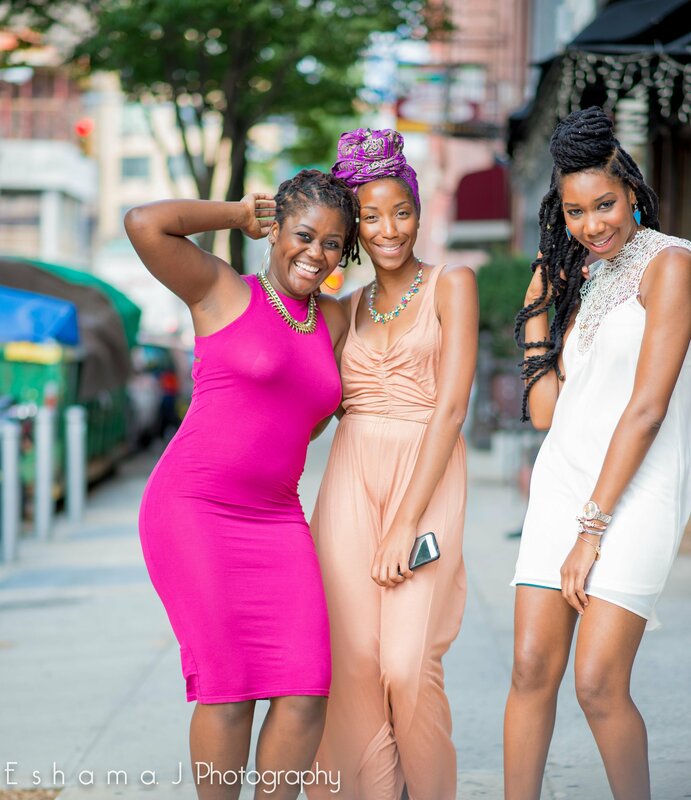 Her fellow queens are Jess of Queen Things and Dazia of Sapodilla Unleashed. The QueenSeries is designed to initiate the conversation about Womanhood today, sparking consciousness, critical thought and analysis about systems of discrimination, oppression, trauma, and worth to motivate and enhance the climate of women’s empowerment through social, political, educational, economic and spiritual programming and discussion. 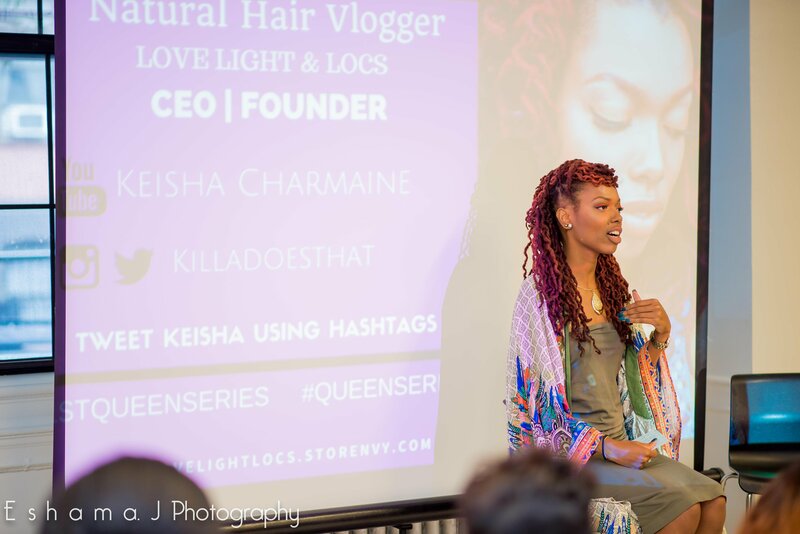 The group discussion kicked off with Keisha Charmaine, Natural Hair Blogger and CEO of Love Light Locs. When sharing her story she expressed her dream of becoming a model/actress. As a young lady with big dreams she always felt she was beautiful. She would hear it from friends, family and even strangers but on the inside she always felt as if something was missing because of what was depicted as beautiful on television and in the magazines. She shared a story where a friend pursuing acting asked her if she wanted to be an actress and she downplayed her dreams because she felt like they were bigger than her. This same friend later on became an actor who has held supporting roles in major films. 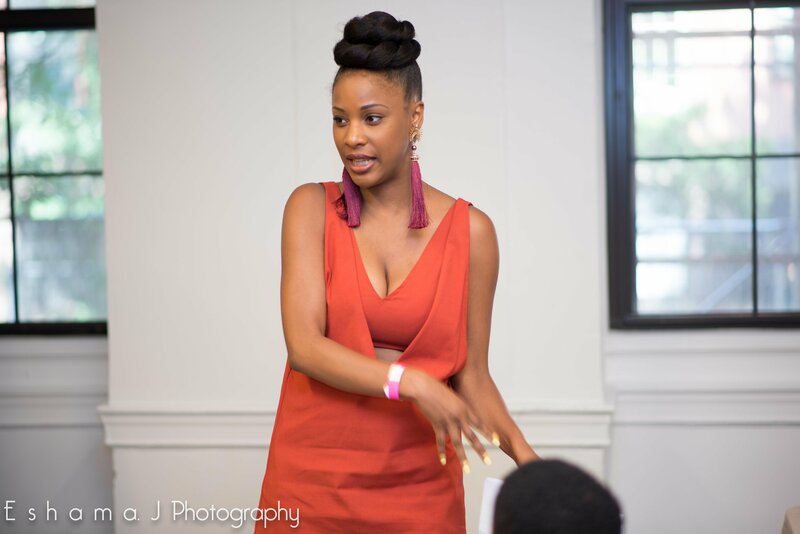 Keisha’s story resonated with me because there was a time in my life where I didn’t voice my dreams in fear of people critiquing me and finding my dreams unattainable. I felt the less I shared my dreams the less I would become discouraged, little did I know, I was already discouraged because I didn’t have enough courage to share my dreams with others. 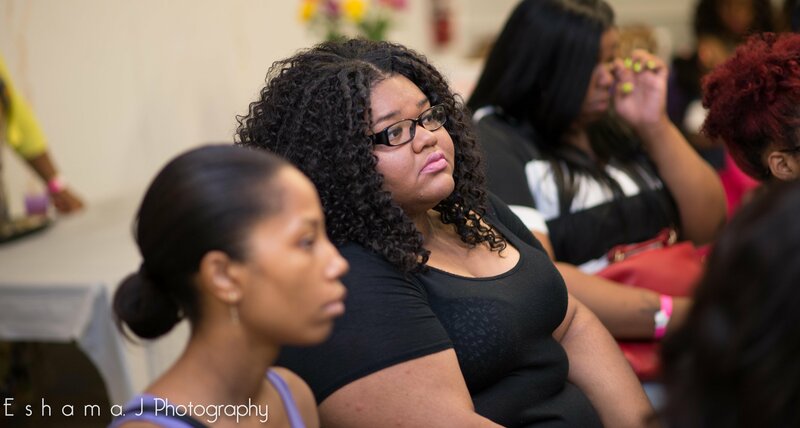 Keisha’s story was sort of a wake up call to myself and the audience. We are more similar than we think. Yes. We all have these thoughts and we all go through points in our lives where we question if we are worthy of the things we dream of. The theme of the event was Be Authentic. Be Courageous Be You. It sounds simple, but in a world where images of “perfection” are pumped into our heads on a daily basis it is hard to look at yourself and love what you see. Throughout the event we laughed, cried, shared stories, created unforgettable moments and we’ve come to the realization that we are not alone. We are more similar than we think. There were so many gems dropped at this event. As the program continue Oya Noire blessed us with her beautiful voice and Brianna Vaughn delivered a very heart felt thought provoking performance. 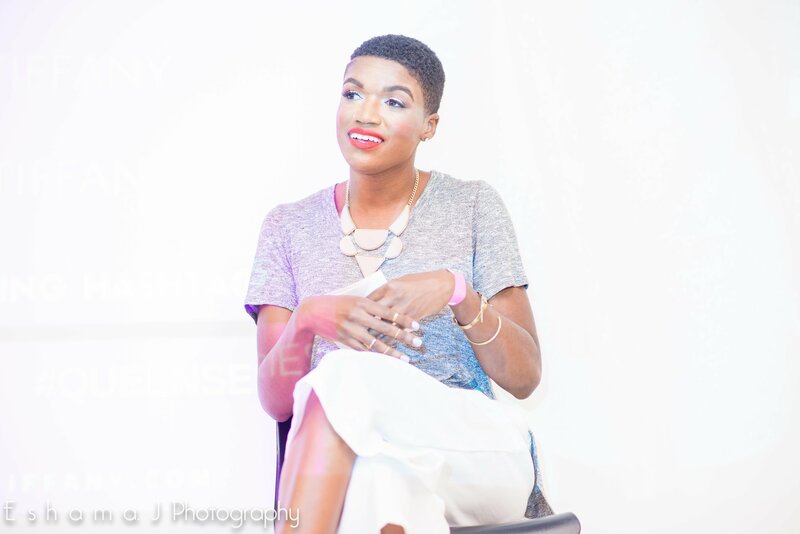 Our second panelist, Ieasha Ramsay a published stylist and philanthropist shared her story toward self acceptance. She also shared how her fears led her to her accomplishments. She is uncomfortable with being too comfortable for too long. This is important for woman who feel stagnant or fear doing the unthinkable. Your dreams should make you afraid but they should not discourage you. At the tender age of 23 Ieasha has accomplished some pretty amazing things. She obtained her bachelors at 16 and masters at 21. Ieasha has traveled to East Africa to assisted many underprivileged young ladies and she has also counseled substance abusers. This young lady is exceptional and her journey is admirable. This afternoon was epic to say the least. I personally look forward to what these Queens create next year. 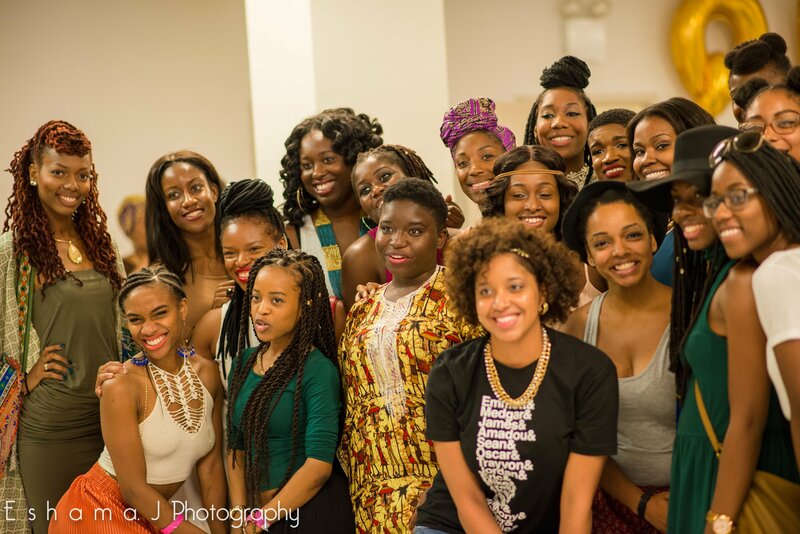 Again, major thanks to D.Wil, Dazia, and Jess for allowing me to host this wonderful event with such wonderful queens! !